Later this week, Donald Trump’s handpicked Attorney General William Barr is going to publicly release a dishonestly redacted version of the Mueller report. It’ll be harmful to Trump, because at this point even Barr can’t manage to redact the entire thing. But based on Barr’s track record, it won’t be anything close to an accurate representation of the true nature of the report. That means it’s gut check time for the rest of us. When I say “us” I primarily mean the media. Last month Barr released a four page summary of the Mueller report. 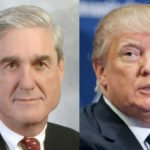 Anyone who had been paying attention to Mueller’s publicly visible court filings, and what had already been reported, instantly knew that Barr’s “summary” was egregiously, laughably, asininely, completely a work of fiction that could not possibly have anything to do with what was actually in the Mueller report. Yet most of the media raced to regurgitate Barr’s work of fiction as if it were the Mueller report. Even many of the major news outlets that generally do a good job opted to purposely get this one wrong. They absolutely knew better, but they didn’t want to risk sticking their necks out by saying so. In the weeks since, as Mueller’s own team has made a point of stating that Barr’s summary was a fictional representation of the Mueller report, the media has gradually begun to state the obvious: the Barr summary had nothing do to with the Mueller report. But now we’re about to get handed perhaps one-third to one-half of the actual Mueller report. Again, this will be a dishonest attempt on William Barr’s part at convincing us that the report says something different than what it says. Barr will simply remove, in strategic fashion, the parts that are the very worst for Trump – while giving us the parts that are only moderately bad for Trump, in the hope that everyone will believe that’s the worst of it. This means the media gets a second chance to atone for its horrific and deeply harmful misreporting of the original Barr summary. We’ll see what happens. Once the Barr-mutilated version of the Mueller report is released this week, if any news outlet falsely refers to it as being the actual Mueller report, that news outlet should immediately shutter its doors and go do something else for a living. It’s gut check time for the media. Are they going to do their jobs, or are they going to merely act as William Barr’s stenographer?